Adding a little twist to the ever popular 12 inch trophy by adding a flame riser. This gives the trophy just a little different look for that special award. this trophy comjes as a kit which includes the necessary parts and instructions to assembly the trophy. Height is based on a 5 inch figure and may vary depending on the figure selection. Engraving is Free!! 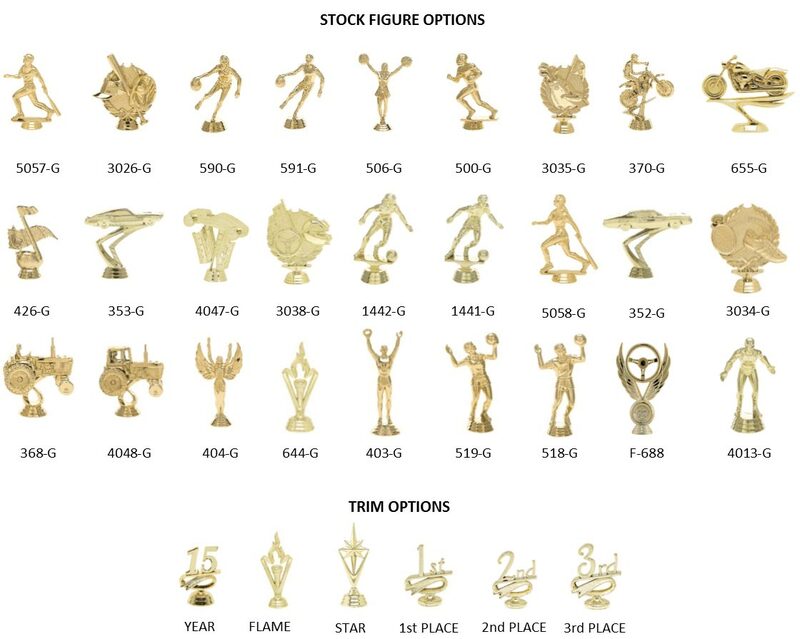 Click the button below to add the 13 Inch SPECIAL TROPHY w/ FLAMES to your wish list.